One of my passions in life is to use my photography skills to give back. 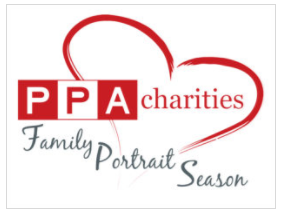 As a portrait photographer that loves capturing memories of parents and their soon to be born & new born children, I've found an organization that allows me to make an impact in parent's lives. Now I Lay Me Down To Sleep (NILMDTS) trains, educates, and mobilizes professional quality photographers to provide beautiful heirloom portraits to families facing the untimely death of an infant. We believe these images serve as an important step in the family's healing process by honoring the child's legacy. I also work with a number of other wonderful organizations making a true difference in people's lives. Feel free to browse their pages and donate if their causes speak to you. Helping others take better pictures is part of what we do. If you have a need for someone to speak at your event about photography, please let us know. We'd love to offer our expertise and guidance. We also donate our products and services to help raise money for your cause. We have Live Auction and Silent Auction products that fit into almost any fundraising event. Our goal each year is to donate $250,000 to charity events.